Combine olive oil and balsamic vinegar. Season with sea salt and black pepper. 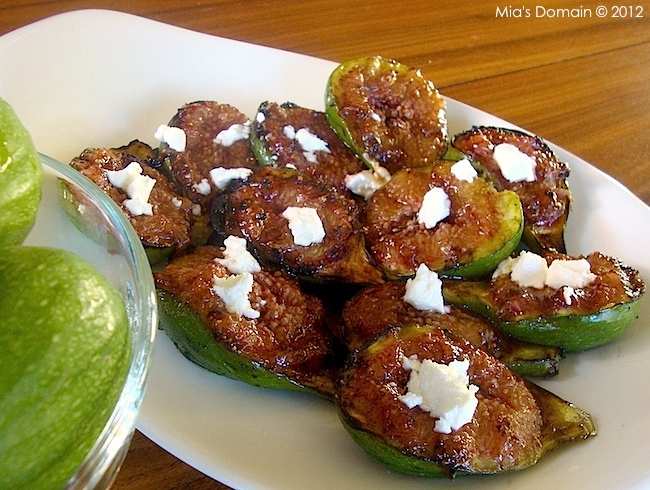 Cut figs in half and toss in the marinade to fully coat. Arrange on a single layer on the grill and cook for 4 minutes, turning over halfway. Scatter goat cheese crumbles over the top with drizzles of olive oil and balsamic vinegar to serve. So excited for this! I just got some yummy looking figs and wasn't sure what I was going to do with them. Problem solved. Thanks!